Shopping around for a new home is a lot of fun, but people who are really serious about buying a home should seek a pre-approved mortgage from lender people trust. As a potential home buyer, you will have a lot of credibility and knowledge on your side if you get a pre-approval mortgage letter from your lender before you go home shopping. Potential home buyers benefit in many ways from getting a pre-approval letter from a mortgage lender. 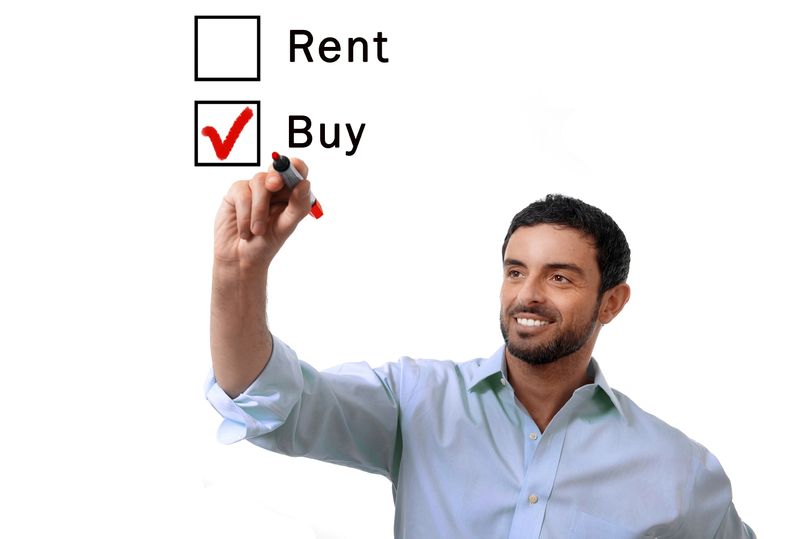 First, you will be able to talk about all of your loan options and how much home you can afford with the lender. Second, the lender will verify your credit score and will let you know what you can expect at your credit level. And third, you will learn how much you can borrow and will then know what kind of homes to review. Learn How to Get a Real Pre-Approval Letter for a Mortgage with a Competitive Interest Rate from Lenders Your Buyers Will Trust. Another big benefit of having a pre-approval mortgage letter is that home sellers will generally expect you to have one. They are much more willing to talk to people who have been pre-approved for a home loan; if you cannot get a mortgage, then the rest of the conversation is moot. A pre-qualification can be helpful to estimate how much you can afford in a home payment. But a mortgage pre-approval is much more significant because the lender has run your credit and verified your financial documents. He or she can give you a good idea of how much home you can afford. Final loan approval will come once you have the appraisal done on the property and the loan is applied to that specific home. You cannot get ‘no doc’ or ‘stated income’ loans anymore; that kind of loose lending is what led in part to the mortgage crash of 2008. Today, you need to have your W-2 statements and tax returns for the last two years, as well as your pay stubs. All of this is needed to verify your income. If you are self-employed, you should have no problem getting a mortgage if you are well established. You will need to show tax returns, possibly bank statements, and perhaps a profit and loss statement for the current year. For the self-employed, one secret to know is that many who run their own business may deduct a lot of expenses. They may deduct so much that they have little taxable income left. That is great for reducing taxes, but it makes buying a home hard. The bank won’t take your word for it that you will have enough income to pay the mortgage: They have to see proof on paper. Thus, in the year before you get a home loan, you may need to deduct fewer expenses. Yes, you may have to pay more in taxes, but it may be necessary for a mortgage approval. You have to show a few months of bank statements as well as any investment accounts you have. This is needed to show at least that you can afford the down payment and closing costs. Some lenders on the conventional side may require cash reserves as well. If you are applying for a FHA loan, this may not be needed. An FHA pre-approved mortgage usually needs just a 3.5% down payment. On a conventional loan, expect 10-20% down. If you get a gift from a friend or relative to pay the down payment, you only need a letter that states it is a gift, rather than a loan. Conventional lenders give the best interest rates to customers who have credit well over 700. Below that, you may have to pay a higher rate, or you may need to pay points to get a lower rate. However, FHA financing is quite flexible on the credit side. You can get pre-approved home loans in many cases with a 640 credit score, or even down to 580 sometimes. You might have to cough up more for a down payment, but you still may be able to get a mortgage pre-approval from a FHA mortgage lender. As long as your credit is at least 640, the majority of FHA lenders will work with you. Once you get to 680 and above, virtually all FHA lenders will work with you. You lender wants to see pay stubs but also may check with your employer that you still are working. They also may verify your salary. If you changed jobs in the last year, they may need to contact your last employer. Employment verification is more prevalent today than it was a decade ago. But lenders need to ensure that borrowers are reasonable risks, with current employment. If you are self-employed, they may want to verify that you have been self-employed for several years. They also will want to know how long you have been working in the same field. Your lender needs to get a copy of your driver’s license or personal identification and social security number to get a credit report pulled. Make sure you get a pre-approval letter before you shop for a home. This will give you more negotiating power. Follow the guidelines above so that you can easily get a pre-approved mortgage and get into your dream home! 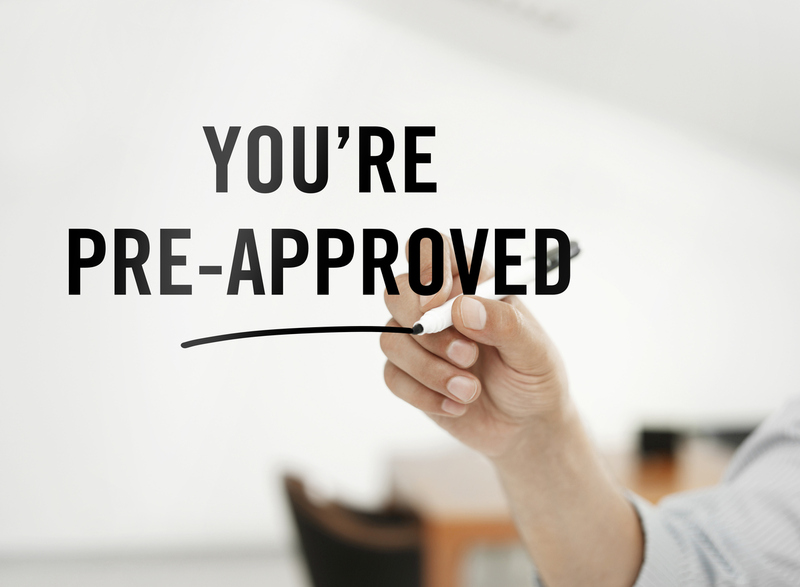 Find Out if “Pre-Approved” actually means a Pre-Qualification from Banks, Credit Unions and Mortgage Lenders that offer Pre-Approval Letters for the Home Buying Process. Everyone likes to look at new homes to buy. Who doesn’t enjoy thinking about purchasing a new, pretty house with a nice kitchen and family room? But the serious home-buyer know that she should start her home buying journey with the mortgage lender and not the real estate agent. Getting a pre-approval letter for a mortgage is the best way to make your home buying dream a reality. Why? Because the mortgage lender will be able to talk to you about specific loan options and to help you understand how much home you can afford. Also, the lender will check on your credit to see if you are able to qualify for the type and amount of mortgage you want. Also, having a pre-approval letter shows home sellers that you are serious about buying a home and have the means to get to the closing table. It is important to make a clear distinction between a pre-qualification vs pre-approval. Pre-qualification for a mortgage is helpful to understand what you can afford on a mortgage payment. But a pre-approval is much more important. It shows home sellers that your credit and income has been verified. The mortgage lender has gone over your documentation and has issued you a loan pre-approval up to a certain amount, typically for 90 days. For the most part, no documentation or no income verified loans are very hard to get. Even if you can, you have to put a lot of money down and will pay a higher interest rate. All serious home buyers have to show that they have the income to afford the mortgage payment and their other debt obligations. Ask about 2017 no doc loans. In fact, mortgage lenders are required under federal law to fully document the borrower’s income. So, you should have your bank statements, W-2s, pay stubs and two years of tax returns to prove your income. The self-employed need to have a profit and loss statement and two years of tax returns. You have to show your bank statements and investment account statements to show that you can afford the closing costs and down payment. Also, you may need to show cash reserves. If you are getting an FHA housing loan, you may only need a 3.5% down payment. If you are getting a conventional loan, you need to put down 10% to 20%. If you are getting your down payment as a gift, you need to show a gift letter to the lender. You do not need to have great credit today to buy a home. If you have a 620-credit score, you may be able to qualify for low-credit FHA mortgages. If you have an average credit score, FHA financing allows you to get a loan at a low rate. If you are getting a conventional loan, you will need a credit score of at least 680 and expect to put down at least 10%. It is recommended that you get your score as high as you can before you apply. In that way, more lenders will be willing to work with you. If you have below-average credit, seek bad credit lenders that provide pre-approval letters. Your lender will probably want to verify that you are employed. Expect to have the lender call your employer to verify that you are still working. If you changed jobs, your lender will probably call your last employer. If you are self-employed and have several regular clients, your lender may call your clients to verify that you are still working with them. Your clients may also need to provide the lender with a letter stating how long you have worked with them. There are “stated income loans” available for borrowers that do not want to document their income but do not mind the bank verifying their employment. Lenders are required by federal law to obtain a copy of your driver’s license and get your social security number. They also need to get your signature so that they can pull a copy of your credit report. To get your pre-approval done fast, we recommend that you provide the lender with all this documentation as soon as possible. It is strongly advised to work closely with your lender to get a pre-approval letter before you start looking at homes. Most experts recommend that you do not even look at any homes before you have been pre-approved for a mortgage. What is the point to look at homes that you cannot qualify for? Once you have a pre-approval letter, you will know what you can afford. Your real estate agent also will be able to limit your home viewings to homes that are within your price range.